Apple is said to be bullish on sales prospects for its long-awaited MacBook Pro update, placing significant orders with suppliers through the end of the year and into 2017, according to a new supply chain report. Citing its usual supply chain sources, DigiTimes reported this week that Apple has been "aggressive" in placing orders for new MacBook Pro models. The report characterized Apple as "optimistic" about holiday quarter sales, and that the company expects those high levels to continue into 2017. Sources said that wasn't always the case— initial orders for the MacBook Pro weren't as strong. Apple was even said to have delayed orders for the MacBook Pro by a quarter due to low yield rates on some components. Specifically, hinges, battery and keyboard were also said to be problem parts. MacBook Pro shipments for 2016 are expected to reach 15 million units, with Apple maintaining that pace next year as well, supply chain insiders predict. Apple has already dynamic Touch Bar, an OLED display strip that sits above the keyboard and replaces the function keys. 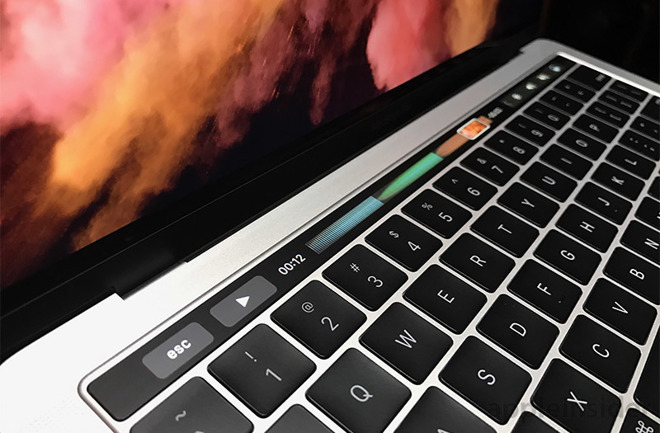 Apple began charging customers for the new MacBook Pro with Touch Bar on Monday, suggesting shipments could begin soon. The core model is priced starting at $1,799.